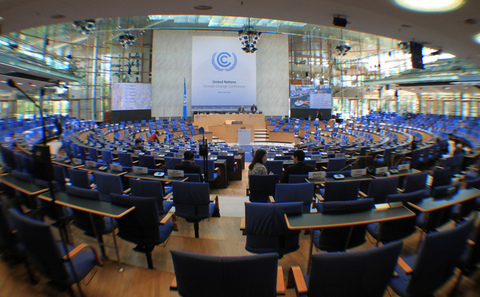 When the climate negotiators of the world recently gathered in Bonn, the Ad hoc Working Group on the Durban Platform for Enhanced Action (ADP) had a tough mission – to reach a new agreement by 2015. China’s role in the process has attracted particular attention: will the country make commitments on emissions cuts by 2015? Will that decision be insular, or will it be affected by the policies of other nations and international processes? At first glance, the signs are not encouraging. In China’s March 2013 submission to the ADP, language such as the “differentiated responsibilities between developed and developing countries” was prominent, but without any concrete or constructive new ideas from China on how to build the 2015 climate mechanisms. China has seen seismic changes in the 40 years since then, including extreme environmental degradation, while its diplomatic stance on the environment has remained largely intact. Yet actual progress on energy saving and reducing emissions is much more encouraging, and international society is starting to recognise this. China is also starting to take a lead on international green development. However the role of multilateral environmental mechanisms may have been overlooked. Although China has long had its own energy intensity targets, without the 2009 Copenhagen deal it might have waited even longer to make commitments on energy intensity, carbon intensity and non-fossil fuel ratios, and those commitments may have been smaller and less legally binding – than the 2005-2020 energy and emissions targets. The 2015 deadline set at Durban will also have a major impact on the timetable for China’s own energy and emissions policy. Without the international negotiations China would stick to its traditional Five Year Plan schedule. Instead China must think further ahead, thus helping make China’s long term energy and emissions policy better aligned with the investment and production schedules of the energy sector. These examples do not mean that international processes are able to single-handedly direct the Chinese environmental agenda. It’s hard to quantify how much of any nation’s environmental policy is “endogenous” and how much is due to international influence. The influence of international society is greatest when in line with China’s own policies. As for the ongoing design of a post-2020 climate deal based on the Durban agreement, the problem with a relaxed bottom up approach is that it allows countries to report their own undertakings – arguably this amounts to little more than having domestic policy rubber stamped by the UN, rather than promoting further cuts. For China, it would bring the risk of disconnecting energy and emissions cuts from the climate change issue. Maintaining the top-down rule-based structure of the last 20 years is paramount. Such legal frameworks assist China to make further energy and emissions cuts, and also help other countries make their own efforts more transparent and comparable. If certain nations weaken the existing legal framework while expecting China to make further commitments they simply shirk their own responsibilities.